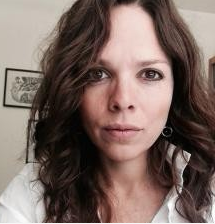 Rocío Zambrana is an assistant professor of philosophy. Her work and teaching interests are in decolonial though t and decolonial feminism; 18th-, 19th-, and 20th-century continental philosophy; and social and political philosophy. She is currently writing a book entitled Neoliberal Coloniality, Critique, Resistance, which develops the concept “neoliberal coloniality” in light of the debt crisis in Puerto Rico. The book considers the critical and political structures of neoliberal coloniality in Puerto Rico through an engagement with critical theory, decolonial thought, and Puerto Rican social and political criticism.